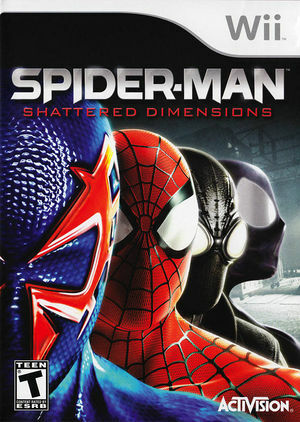 Spider-Man: Shattered Dimensions is a thrilling action-packed adventure set in four dramatically different universes from legendary Spider-Man lore, each with a distinct Spider-Man armed with unique skills and strengths, in one original storyline. Players will be transported to new locations never before seen in a Spider-Man game, from lush jungles and dusty deserts to various urban terrains. Acclaimed comic book writer Dan Slott takes players on a mission to contain the magical energy of the Tablet of Order and Chaos, which has been shattered and sent hurtling across parallel universes, and battle fan-favorite villains in a quest to restore the fabric of reality. On older versions, there was no audio at all. Now there is audio, but can hardly be heard. The graph below charts the compatibility with Spider-Man: Shattered Dimensions since Dolphin's 2.0 release, listing revisions only where a compatibility change occurred. This page was last edited on 13 January 2018, at 13:51.